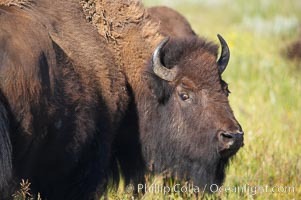 The bisons massive head is its most characteristic feature. Its forehead bulges because of its convex-shaped frontal bone. Its shoulder hump, dwindling bowlike to the haunches, is supported by unusually long spinal vertebrae. Over powerful neck and shoulder muscles grows a great shaggy coat of curly brown fur, and over the head, like an immense hood, grows a shock of black hair. Its forequarters are higher and much heavier than its haunches. 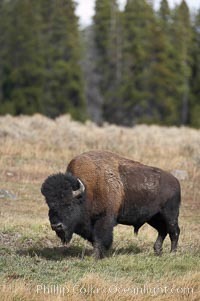 A mature bull stands about 6 1/2 feet (2 meters) at the shoulder and weighs more than 2,000 pounds (900 kilograms). 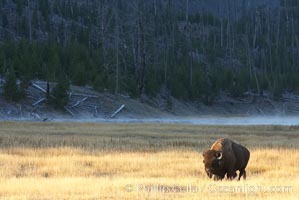 The bisons horns are short and black. In the male they are thick at the base and taper abruptly to sharp points as they curve outward and upward; the females horns are more slender. Bison Bison Photo. Bison herd. Bison Bison Picture. 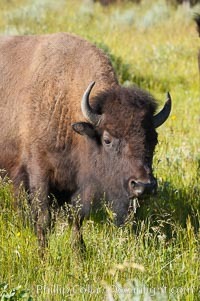 Bison. 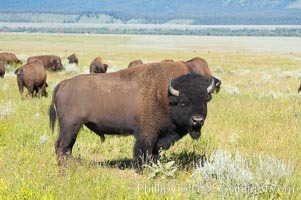 Stock Photography of Bison Bison. 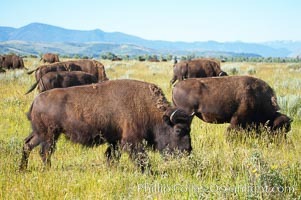 The Lamar herd of bison grazes, a mix of mature adults and young calves. Photograph of Bison Bison. 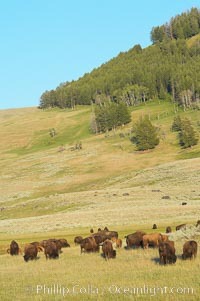 The Lamar herd of bison grazes, a mix of mature adults and young calves. Bison Bison Photos. 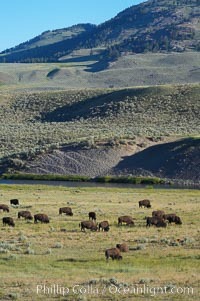 A herd of bison grazes near the Lamar River. Bison Bison Image. 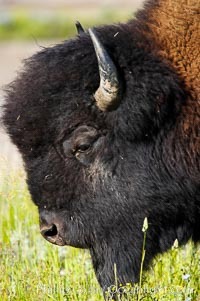 Bison. 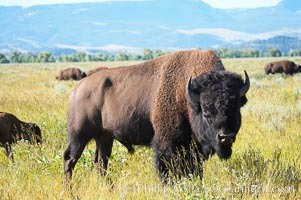 Professional stock photos of Bison Bison. 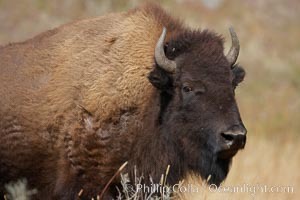 Bison. Pictures of Bison Bison. 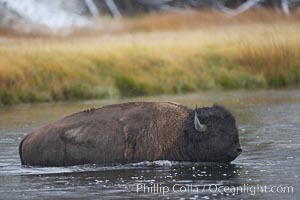 Bison wades across the Madison River, autumn. Bison Bison Picture. 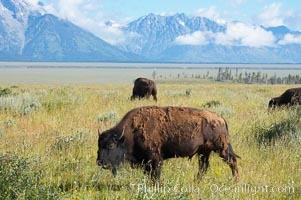 Bison grazes amid grass fields along the Madison River. 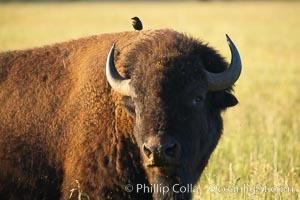 Stock Photography of Bison Bison. 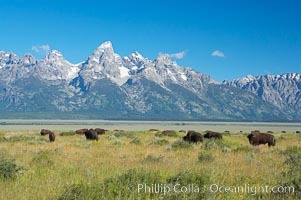 Bison herd grazes below the Teton Range. Photograph of Bison Bison. 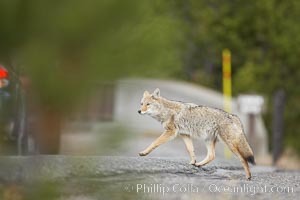 Coyote crosses a road in front of a car. Dozens of coyotes, wolves, bears, elk and bison are killed each year in Yellowstone as they attempt to cross the roads in front of drivers who are not paying attention or speeding. Bison Bison Photos. 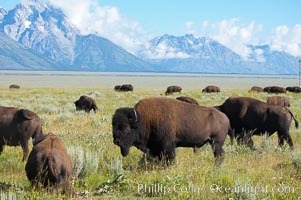 Bison herd. Bison Bison Image. 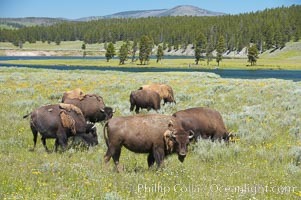 Bison herd. Pictures of Bison Bison. Bison herd. Bison Bison Photo. 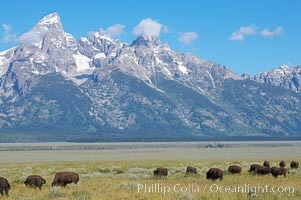 Bison herd grazes below the Teton Range. Bison Bison Picture. 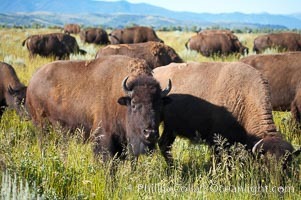 Bison herd. 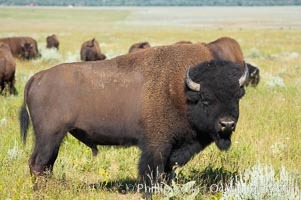 Stock Photography of Bison Bison. 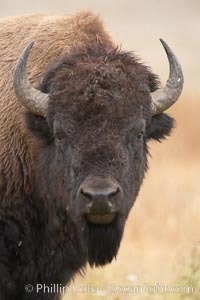 Bison. Photograph of Bison Bison. 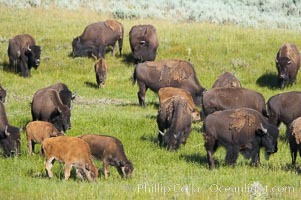 The Hayden herd of bison grazes near the Yellowstone River. Pictures of Bison Bison. 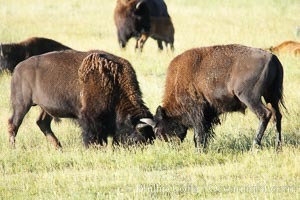 Bison lock horns in a sparring session. Bison Bison Photo. 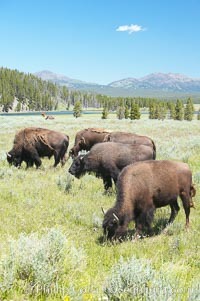 The Lamar herd of bison grazing. Bison Bison Picture. 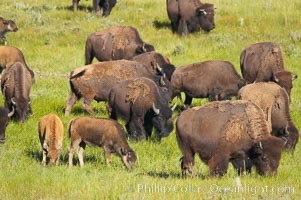 The Hayden herd of bison grazes near the Yellowstone River. 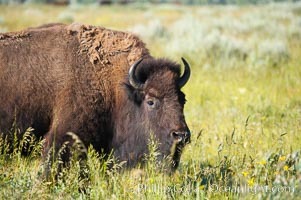 Stock Photography of Bison Bison. 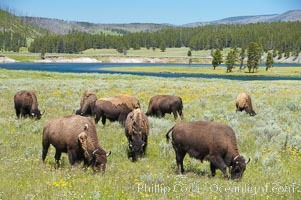 The Hayden herd of bison grazes near the Yellowstone River. Photograph of Bison Bison. 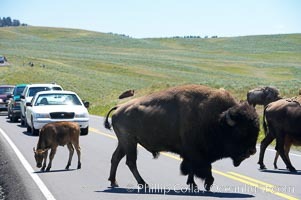 A herd of bison crosses the road, creating a bison-jam while visitors watch from the safety of their cars. Bison Bison Photos. 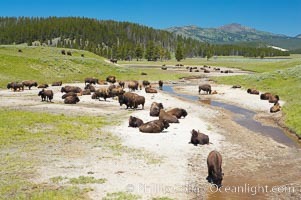 Bison rest in a dry stream bed. Bison Bison Image.